Cape Town mayor, Dan Plato, is on Sunday expected to unveil the city’s strategy about future housing. The City’s housing backlog is estimated to be in excess of 500 000. Most people on the waiting list are currently living in informal settlements, temporary relocation areas and backyards. “The Executive Mayor of Cape Town as well as the mayoral committee member for human settlement will be providing details on the budget allocated for housing delivery in the city of Cape Town. The mayor will be discussing a number of the successful housing deliveries over the recent years and details on the upcoming delivery plans for this year and the coming years,” says Greg Wagner, Mayor’s Spokesperson. 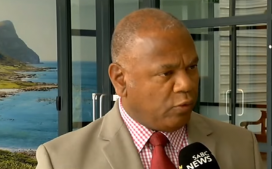 The post Dan Plato to unveil plan about Cape Town’s future housing appeared first on SABC News – Breaking news, special reports, world, business, sport coverage of all South African current events. Africa's news leader..